Click the picture below to read the Annual Campaign Appeal letter from Santa Maria’s CEO, Nadine Scamp, LMSW. Because of your help in paving the way for Houston’s women and children, Santa Maria has had many success stories over the past 58 years, but our work is far from over. 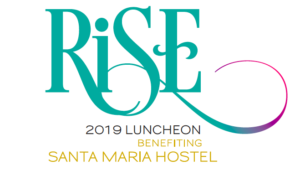 Today, more than ever, Santa Maria must reach out to the community for support in order to maintain our continuum of care offered to those in need. As agents of hope, Santa Maria remains steadfast in its mission to empower women and their families to lead healthy, successful, productive and self-fulfilling lives…but we can’t do it alone. From recovery from addiction to recovering from homelessness, incarceration, abuse and other trauma, Santa Maria has the experience and compassion to offer a hand up and change lives. With your compassion and continued support, we are able to serve more than 4,936 women and children each year and truly make a difference in their lives. Recognized by the Better Business Bureau as a “Top 25 Accredited Charity” in Houston, Santa Maria Hostel is an excellent steward of your donation with 96% of each dollar going directly towards program support. Coupled with leveraging in-kind gifts and services while partnering with more than 80 other agencies, Santa Maria is able to provide a complete continuum of care in the most efficient way possible.